It has been revealed that Manchester City boss Pep Guardiola has excluded superstar Benjamin Mendy from the first team after losing patience with the star’s ongoing antics off the pitch. It was revealed that the left-back was nearly three hours late for a recovery session on his metatarsal injury last Sunday which led to the defender being excluded from the first team for a week according to report published by Goal.com. 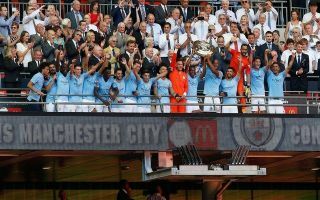 The report also revealed that this wasn’t the first time Mendy was late, the full-back was fined for being late to training ahead of City’s Premier League opener against Arsenal. Mendy also hit the headlines at the start of this month when the defender was given a one-year driving ban after failing to provide the police with information on who was speeding in his car. “He was injured six seven months last season,” said Guardiola. “Now he’s injured again. Every day he’s having treatment. I’m not a physio. “He arrived late, that happens sometimes, in the last period a lot have arrived late because of the traffic. Manchester is under construction, the players arrive late. They have to drop their kids at school. The 24-year-old certainly needs to get his act together if he wishes to remain at City in the future, there could come a time when City’s hierarchy deem that the star isn’t worth the off-field drama that seems to follow him around like a bad smell. 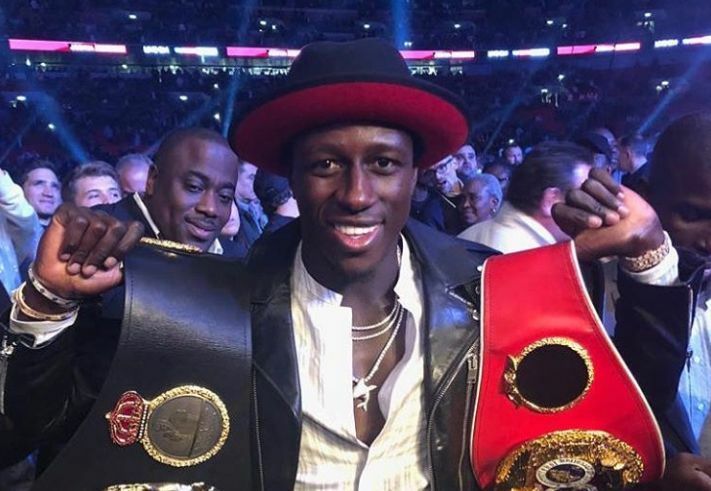 Mendy’s presence on social media is telling of how serious the situation is at City, the former Monaco man hasn’t posted to any of his social media accounts in a week now and he last uploaded the picture of himself at the Joshua fight which seemed to have pushed Guardiola over the edge. It has been a whirlwind year for Mendy since he joined City. From spending most of last season injured to lifting the World Cup with France at this summer’s World Cup in Russia and then establishing himself as one of the Premier League’s best full backs with his performances at the start of this season. Just as Mendy started to make a name for himself for his performances on the pitch rather than his exploits on social media it seems the Frenchman is now in hot water once again. Mendy started the season in incredible form before his injury managing to provide 4 assists for his teammates in the opening four matches of the new Premier League season. Mendy is an extremely important part of Manchester City’s all out attacking system and is an even more influential figure of the Manchester City dressing room. Fans got an inside look at how close the Frenchman became with his teammates like John Stones and Kyle Walker in Amazon’s ‘All or Nothing’ documentary which aired before the curtains opened for the new season. Mendy’s lung-busting runs from left-back will be missed if he doesn’t resolve his strained relationship with Guardiola very soon.